Contains two high filtration bags constructed with three layers of Filtrete HEPA filter media. Fits Hoover upright cleaners, including the WindTunnel uprights, that use "Type Y" or "Type Z" bags. Includes 2 bags per pack. 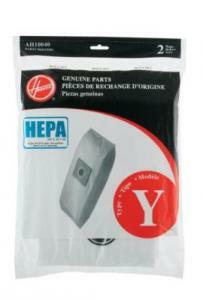 HEPA filtration.